Yesterday's Berkeley riots were horrendous and the Mayor of Berkeley had responsibility for the escalating violence. The FBI is involved in investigating the Mayor of Berkeley, who allegedly told police to stand down during the mass riots at UC Berkeley, in response to a Milo speaking event that was cancelled. Jesse Arreguin, the Mayor of Berkeley, welcomed the protests that saw individuals viciously attacked. Several were hospitalized and one person is in critical condition and may actually die. Mike Cernovich is leading the charge to hold the Mayor of Berkeley responsible for the violence yesterday. 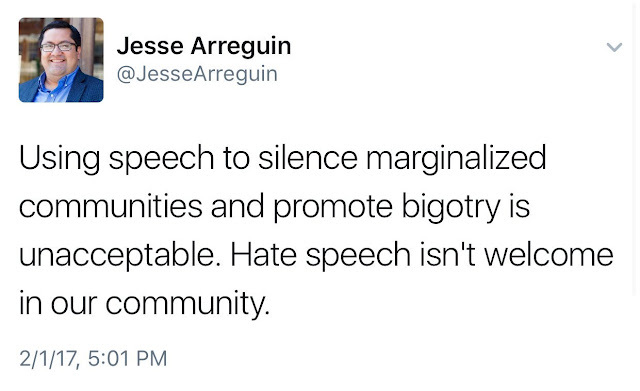 Using speech to silence marginalized communities and promote bigotry is unacceptable. Hate speech isn't welcome in our community. Arrequin backtracked and posted an "Revised" statement. The blood of yesterdays riots will be in Arreguin's hands and he is now facing an FBI investigation.
.@UCPD_Cal We know about the stand-down order. The FBI does as well. Enjoy the coming investigation into your department and "officers"!